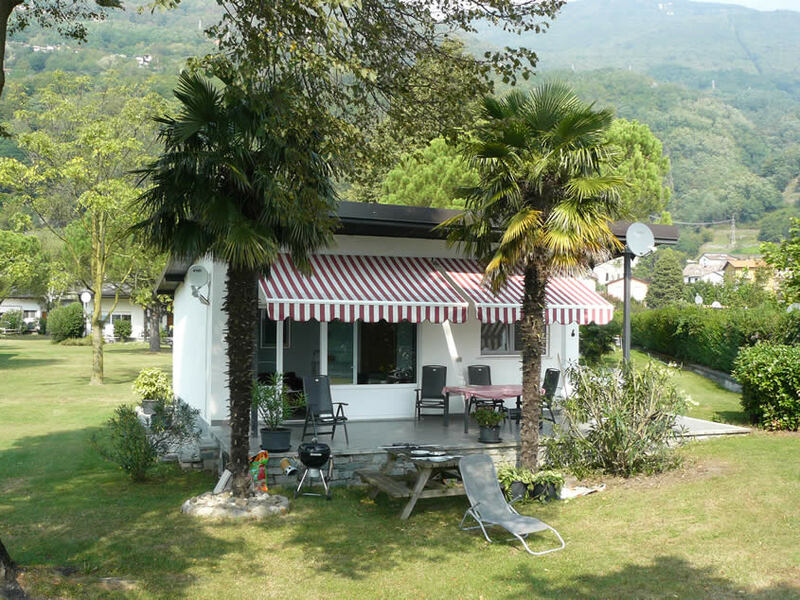 The holiday park occupies a fantastic location directly at Lake Como and contains 34 bungalows. The area is flat and large (40,000 m²), with wide open spaces between the units. The combination of trees, bushes and shrubs with large grassy areas ensures peace, rest, and privacy, leading to a pleasant and relaxed holiday. 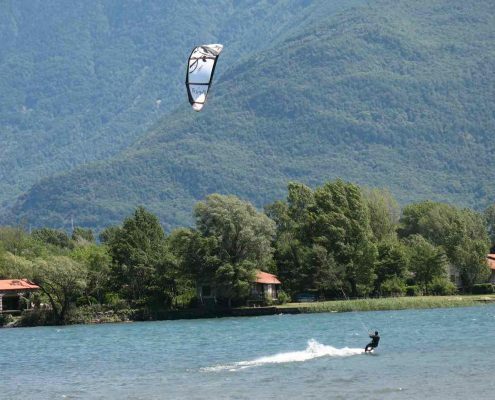 The local area offers plenty of choice in terms of water sports, mountain biking and road cycling, golf, paragliding, and hiking. But also those looking for a relaxed time will not be disappointed! 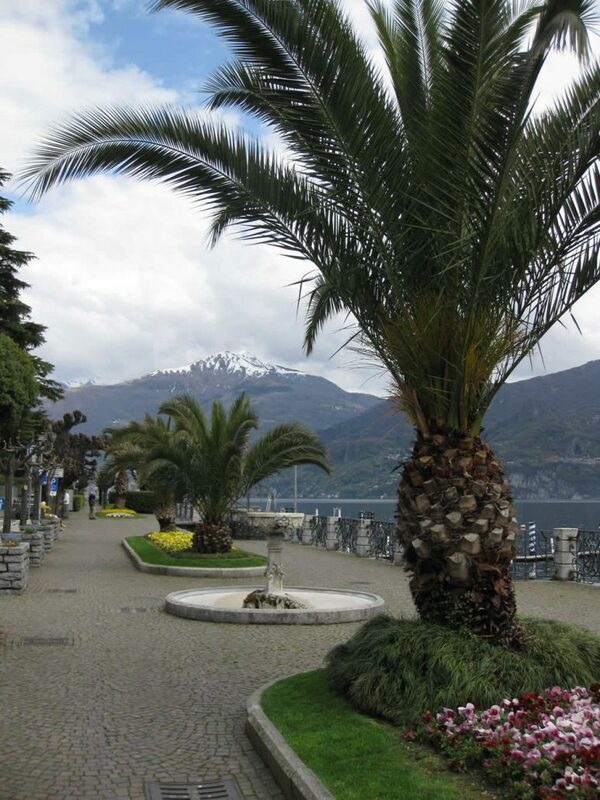 The park is ideally suited as starting point to visit the beautiful cities, villages, villas, abbeys, and gardens around Lake Como. 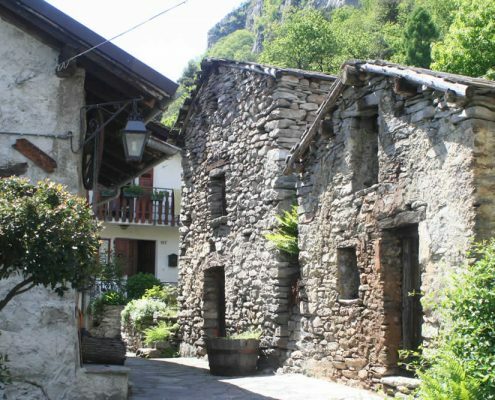 Not te mention the beautiful countryside and green mountains of the Southern Alps. Our friendly permanent staff are skilled in making your holiday an unforgettable experience. 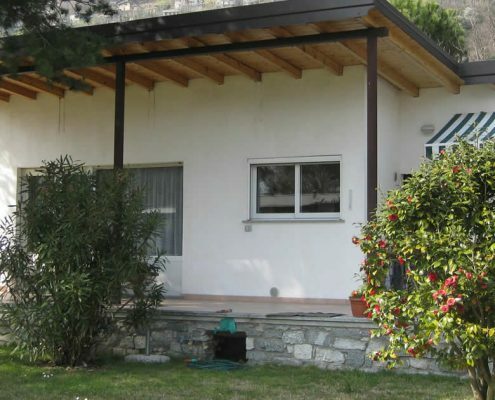 Holiday park Sole Mio offers alternating larger and smaller bungalows, suited for 6 persons (inside living area approx. 70 m2), or 4 persons (approx. 60 m2). 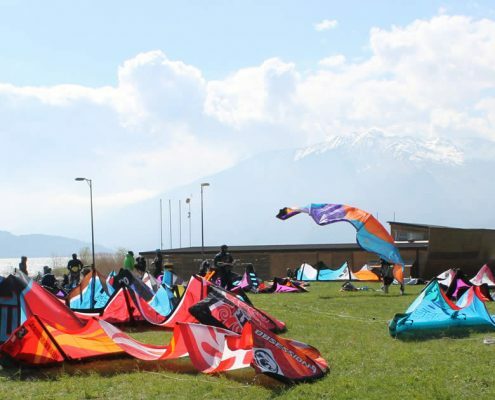 All units are detached and are surrounded by trees, shrubs, and large grassy areas. The large units feature a living room, often with connected kitchen area, a bathroom, three bedrooms, and a large tiled sunpatio outside. The smaller units are similar except having 2 bedrooms instead of 3. Each bungalow comes with a well-equipped kitchen with gas-fired stove, oven and/or microwave, and dishwasher. The living room is comfortable and contains flatscreen television with satellite dish offering plenty of choice, and wifi internet is standard. It also contains the dining area. You will find comforters in all bedrooms with clean linen being provided upon arrival, as part of the welcome pack. All bedrooms feature extra long beds (2m), and are equipped with ventilators to aid cooling during nighttime. 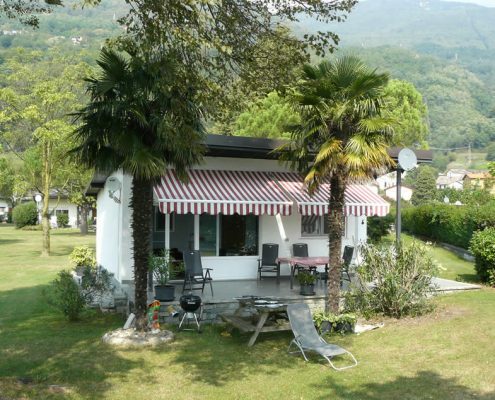 Daily groceries are available in nearby Gera Lario and Sorico within walking distance of the park. Here you will also find nice bars and restaurants ranging from the real pizzas to more elaborate Italian dishes and local specialities. 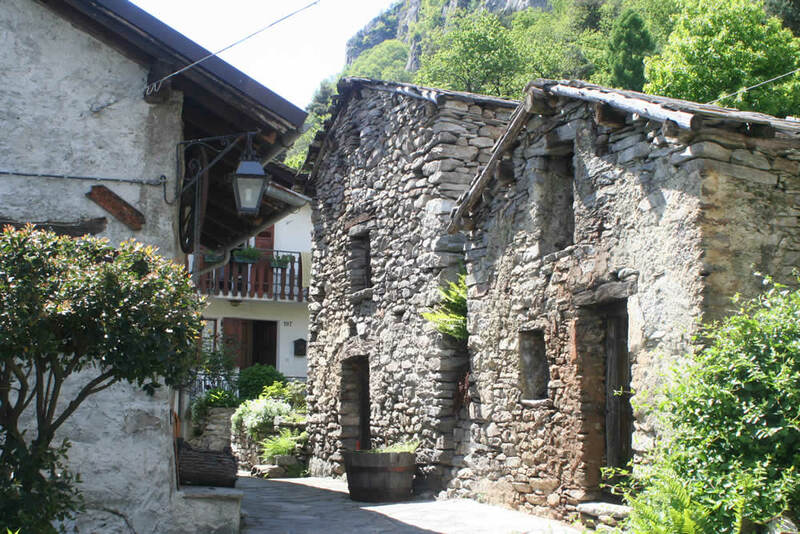 Colico, Domaso, Gravedona and Dongo are pretty villages all within a distance of 10 km (6 miles) from the park, offering weekly local markets, nice shopping areas, local Italian restaurants and bars. Turn right from the park towards Colico and Morbegno and you will soon find a huge indoor shopping centre Fuentes including a large supermarket. 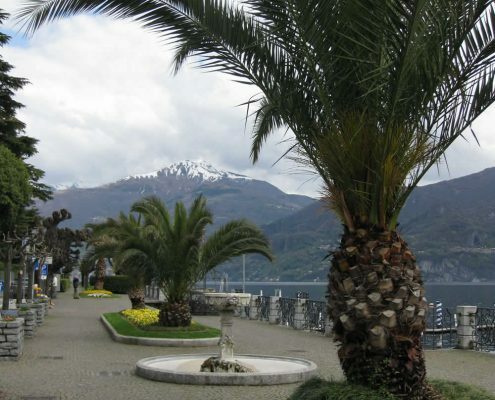 Turn left towards Domaso, Gravedona, and Dongo for local supermarkets, authentic shopping, and unique dining experiences often directly at the lakefront. 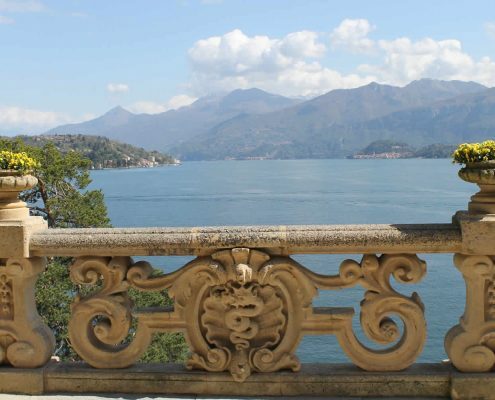 Don’t forget to visit the beautiful and often medieval churches present in nearly all villages, or start here for an unforgettable walk along the shores of the lake or the vistas from the mountains. Whether you arrive by ferry to IJmuiden, Hook of Holland, or the Tunnel to Calais, the distance to the Park is about 1070 km. This is doable in one day provided you take enough rest. Most drivers choose the route through Basel and across the Gotthard. Alternatively, you can choose the San Bernardino pass. More adventurous routes to reach Gera Lario include the Splügen pass or the Jullier/Maloja passes. On-line route planners (such as Google maps) can assist your journey preparations, flag any spots with traffic congestion, and provide alternative options. 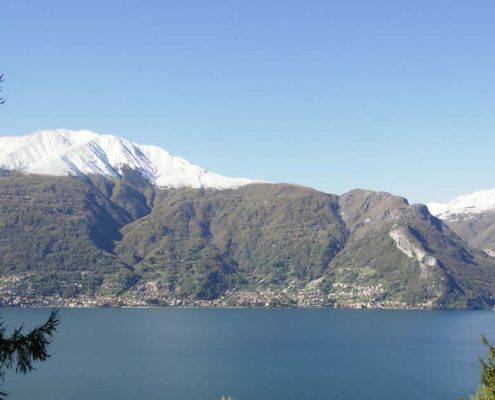 From Malpensa Airport it is possible to reach Como, changing trains in Saronno. 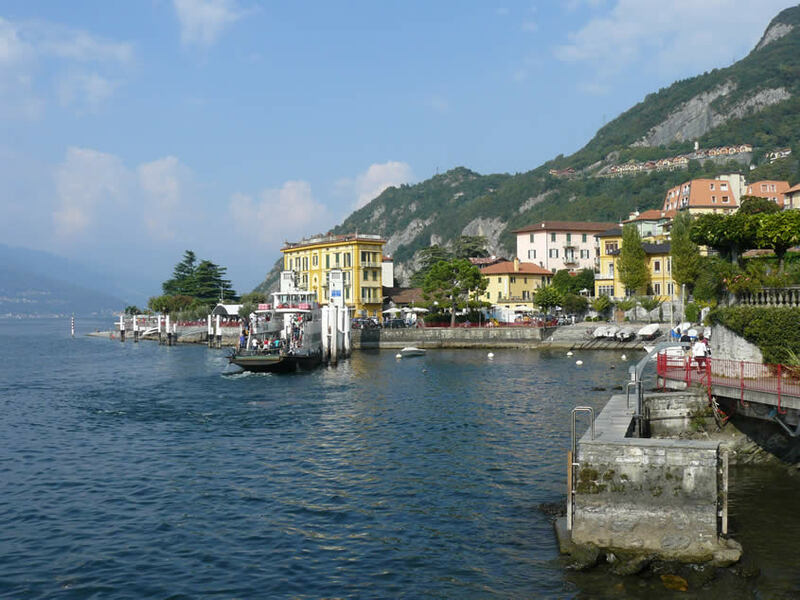 From Como one can take the fast hydrofoil ferry up along the full length of the Lake, a beautiful start of the holiday. 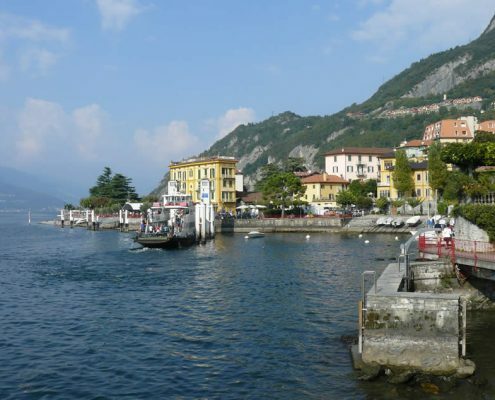 At the time of writing, a port call in Gera Lario was not included in the service any longer, so one would have to disembark in either Domaso or Colico. 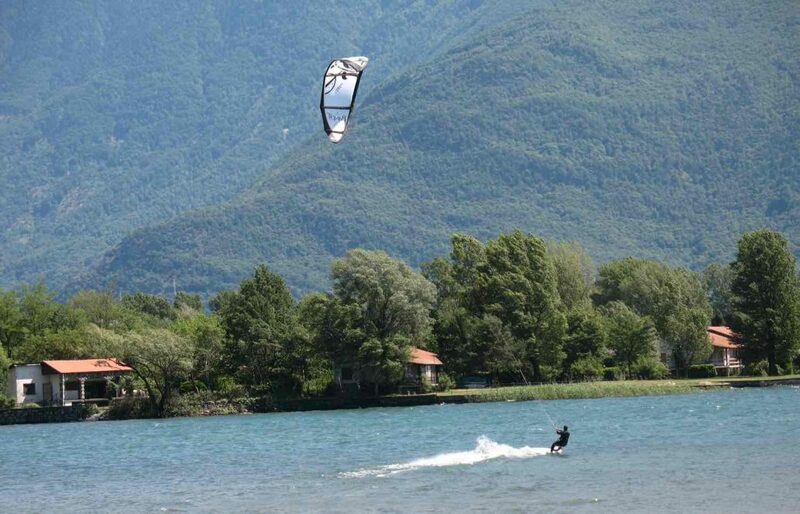 Low-cost air travel is possible by flying to Bergamo (airport Orio al Serio) which is located 85 km away from the Park. Airlines include for example Ryanair, Transavia and Berlinair. Milano Linate (105 km from Gera Lario), destination for KLM / Alitalia and related airlines. Milano Malpensa (125 km from Gera Lario), destination for KLM / Alitalia and other airlines such as EasyJet. Malpensa airport has an excellent train connection to Milan Central Station (“Malpensa Express”). Frequent bus services bridge the short distance between Milan Linate Airport and Milan Central Station. From here you can connect with trains going North, passing through Colico, the closest train station to the Park. 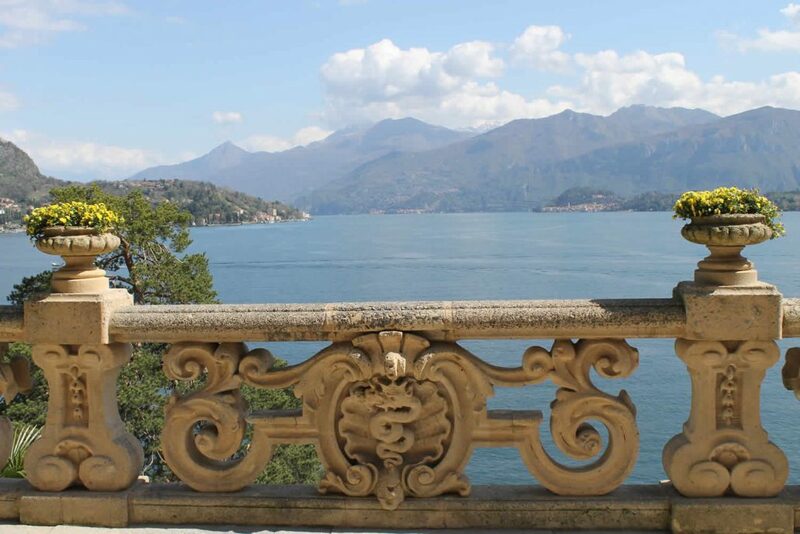 Here you can take local bus service C-10 to Menaggio/Como, stepping off at Gera Lario. From Bergamo you can take a train to Lecco and then connect to Colico. The Italian public train system is excellent and not expensive.